Please make sure all coaches read these rules to help keep the confrontations with the officials to a minimum. 22 minute running time halves w/ 5 minute half. PLAYERS CAN ONLY PLAY FOR ONE TEAM IN THE TOURNAMENT - Tournament may make exceptions to this rule but requires TOURNAMENT DIRECTOR approval IN ADVANCE. Keep it in. Teams with the lead must keep the ball in the box during the last 2 minutes of the game except for 10U & 12U. National Federation High School Rules will be in effect for HS games. US Lacrosse Youth Rules will be in effect for 14U & under. BOYS COUNTS: No counts at 12U and under. Counts at 14U and HS. TIME OUTS: One timeout per half. Timeouts are to last one Minute. No timeouts in last 2 minutes of either half. A team may only call a timeout during a penalty if it is called at the beginning of the penalty, in this case the penalty will start once the timeout is over. No timeouts may be called once the penalty clock begins. Timeouts will not stop the game clock. Game tied at the end of regulation. Playoff games will be decided by one 4-minute sudden victory overtime followed by a Braveheart (1v1 +GK). Mercy Rule - BOYS 12U AND YOUNGER ONLY – Anytime one team is up by 7 or more goals there will shall be no faceoff after a goal or to start a quarter and the ball will be given to the team that is losing. Disqualification - Any player being thrown out of a game for unsportsmanlike conduct or fighting must sit out at least the next game and may be removed from the tournament, at the discretion of the tournament directors. One Handed Check. 10U, 12U & 14U – Any one handed check will be considered a slash, whether or not it makes contact with the opposing player. Take-out Checks. 10U, 12U & 14U - There will be no “take-out checks” allowed at any time for these age groups. Stick Length. Standard stick length rules apply for all age groups. 10U max is 54"
Penalty cards are 150% of the normal times due to running clock. Therefore, yellow cards are 3 minutes instead of 2 minutes and red cards will be 6 minutes instead of 4 minutes. On a team’s 4th card, they will play down a player for the remainder of the game- on a 5th card they will play down 2 players and so on. Draw: The number of players around the circle during a draw will be restricted to 3 from each team for all levels. A goal circle foul by the attack shall be penalized with the goalie awarded the ball and the offending player placed 4m behind. Coaching area is from the substitution area to their end line and even with the scorer’s table (at least 4m from the sideline) and does not include the area directly behind the scorer’s table for all levels. TIME OUTS: One timeout per half. Timeouts are to be 1 minute long. No timeouts in last 2 minutes of either half. Timeouts can be called after a goal has been scored by Coach or any player on the field OR during a live or dead ball situation by the team in possession anywhere on the field. A team may only call a timeout during a penalty if it is called at the beginning of the penalty, in this case the penalty will start once the timeout is over. No timeouts may be called once the penalty clock begins. Timeouts will not stop the game clock. Timeouts will not stop the game clock. Major Foul inside arc right before halftime or end of game If a player is fouled inside the arc prior to the end of the game a shot will still be awarded even if the horn ending the half/game has sounded. Seeding games will be decided by a 3 player Braveheart (2 field players + GK). Coaches must immediately send players onto the field to compete in the Braveheart. Playoff games will be decided by one 3-minute sudden victory overtime period followed by a 3 player Braveheart (2 field players + GK). Finals games will be decided in sudden death overtime, teams will continue to play 3-minute periods until someone scores. Official scores and penalty time will be kept by officials on the field. High School Division: National US Lacrosse rules and regulations apply. Middle School Division: 14U US Lacrosse rules and regulations apply. Modified checking only. No deputy allowed. 3 second checkable position rule applies. Mercy Rule. Middle School Girls Only. When there is a 4 goal difference, a free position will be awarded to the trailing team at draw. One pass must be made from the free position before a shot is attempted. The coach of the team that is behind may waive this free position at any time. Ejections. A player or coach receiving two yellow cards or one red card in a single game will be ejected from the game by the game officials. Ejections are determined by the game' officials. Goalie Equipment. Mouth guards, helmet (NOCSAE certified) with separate throat protector, padded gloves, chest protector, thigh protection, and shin protection is mandatory for goalies. 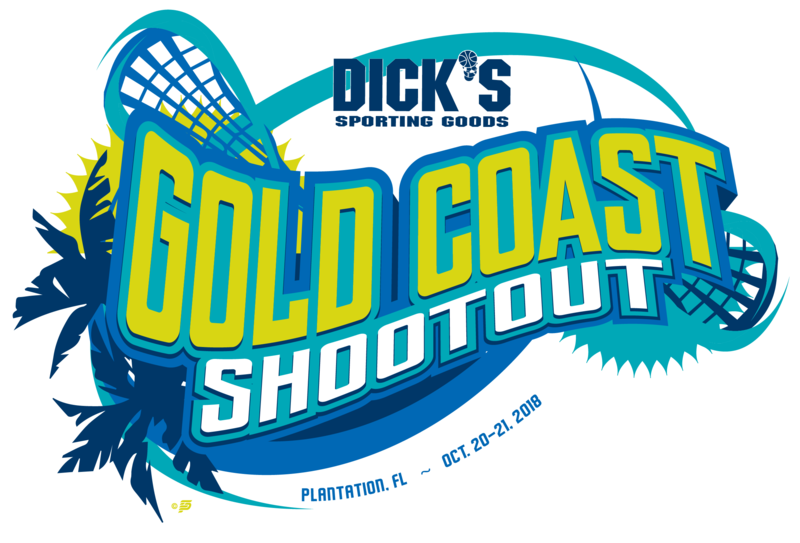 Tournament Cancelation - In the event of a cancelation of the tournament due to actual or threatening weather conditions, each team will receive a partial credit towards a future Broward Lacrosse Advantage tournament towards registration fees. The tournament has fixed expenses relating to field rental & facilities, staging and set-up costs, insurance, personnel and other matters regardless of cancelation due to weather. Accordingly, teams will not receive a full refund of the entry fee if the tournament is canceled. Park advisors, not tournament organizers, have final say on whether the tournament will take place due to weather conditions. Please be advised that there are no rain dates. Reduce game time in order to catch up with schedule. Finish games before inclement weather arrives, or to preserve field conditions. Every attempt will be made to update cancellations on the website. However, weather conditions can change rapidly and all teams should be prepared to play as soon as weather clears and fields are playable. No refunds will be issued due to any weather related adjustments during the Tournament.